If Dean Heller had broken with Donald Trump last year, he would be unbeatable today. Chase Stevens/Las Vegas Review-Journal President Donald Trump greets U.S. Sen. Dean Heller, R-Nev., during the keynote address at the Nevada Republican Party State Convention at the Suncoast in Las Vegas on Saturday, June 23, 2018. It’s not like Heller did not lay the groundwork for it. Two days before the 2016 election, the Atlantic described Heller as a “soft” Never Trumper. He declined to say whether he had voted for Trump. Thus, he had played it cute. He could go either way, since he had laid the groundwork for opposing Trump but had also left enough doubt so he could embrace Trump if it came to that. 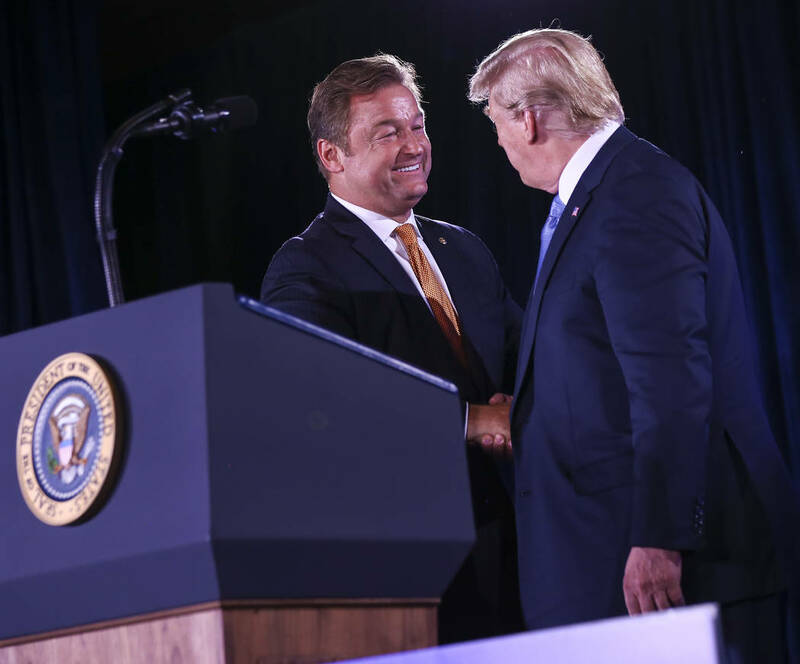 In 2017, Heller opposed Trump on national health care, giving aid and comfort to fellow Nevada Republican Brian Sandoval. Then, he played it TOO cute. Nine months passed before he claimed he voted for Trump. His reluctance to admit so voting (if he did) offended both wings of his party. His primary opponent, six-time unsuccessful candidate Danny Tarkanian, called him a Never Trumper, but Tarkanian’s credibility has not worn well through six unsuccessful candidacies for office. It was insulting, and Heller just laughed. If he had told Trump that was elected by the people of Nevada to give them independent representation instead of a White House puppet and then followed up with something like, “I owe it to my constituents to respect them, not pander to you, sir,” it would have transformed Heller’s race. Heller would have looked like a strong and independent leader and Tarkanian would have had to make the case against a Nevada senator’s backbone and resolution. I’d like to have seen THAT 30-second spot. Heller would also have given moderate Republicans something they haven’t had in years – reason to vote. And after dispatching Tarkanian in the primary, Heller would have cut heavily into the Democratic vote in the general election. Instead, Heller became a full blown Trumpet and is now fighting for his political life.